If you could sing one song on a music competition show on television, what would it be? We have received a warm welcome from every school that we visited. There are a lot of positive people working on this programme because we aim for the same thing ‘Encourage students to have the best environment for learning and living’. In future, we wish to integrate the Eco-Schools programme with other environmental programmes from both the private sector and government sector. We trained an Eco Committee at each school to guarantee that they all understand our process. We also trained other students about waste separation and why it is important for everyone to help reduce litter. We used games for the training. Then, we visited schools with our Eco Committee to give information and advise about the programme. The award day was set for 24th May, 2017. 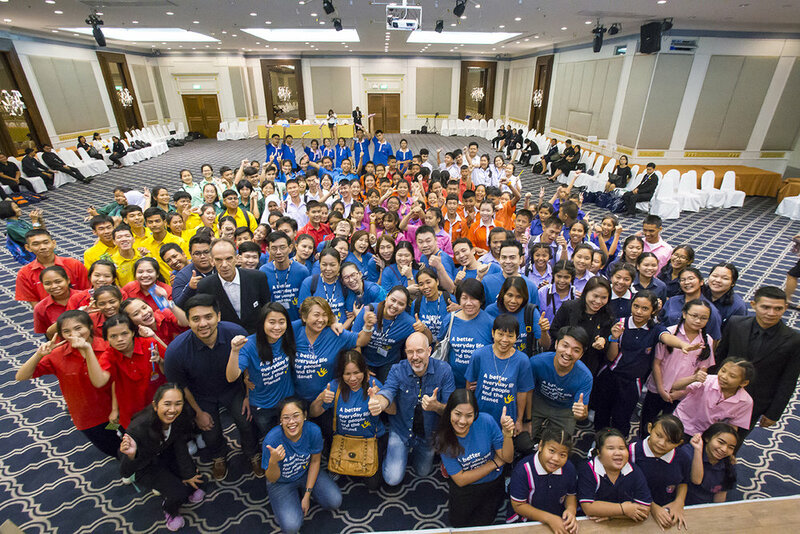 Because of our partnership with IKEA, we held a ceremony for students to celebrate their achievements and visited Bangkok Waste Incinerator. Most Thai schools are running an environmental project organised by teachers but the Kunnatee Rutharam Wittayakhom School is different. A school principle and teachers are encouraging their students to be at the cutting edge. At every school board meeting, parent association meeting, or local authority meeting, they give an opportunity for the students to present information about their Eco-Schools programme. The students also invited a community leader to be a member of their Eco Committee and implement a joint project to reduce the waste problem both in the school and the community. Aim of game: to make students understand why plastic bag reduction is important. The rule is simple. Divide students into two groups; turtles and turtle food. Give a card to each student in the food group. There are two types of cards; plastic bags and jellyfish. The students holding the food cards must not let the turtles know what they are. Then, ask turtles to mix with the food. Indicate the number of food cards that the turtles need to find. If the turtle has more plastic bag cards than jellyfish cards, it dies. Separate the dead turtles out. Put the people with the food cards back in the game, reshuffle the cards and redistribute. Play the game until there are 1-2 groups remaining. For the game conclusion, we show the students a picture of a plastic bag and jellyfish in the ocean, and ask them if it looks similar or different. Then we ask them how the plastic bags end up in the sea.